5 Hidden & Useful Programs in Windows XP ! There are number of programs we access using program files menu in Windows XP. However, there are few hidden and very useful programs that can be accessed using the special commands in Run box in windows XP. You can create self-extracting files that automatically run the setup program contained inside using IExpress feature. This is actually a Window’s inbuilt feature. To access this feature click on start-run, type iexpress and click on ok (shortcut: Win + R and then type iexpress). Using this one can create a package that display a custom message or you can also execute a file contained in that package.Ã‚Â One of many hidden feature of Windows operating system. You can also find the IExpress Wizard (IExpress.exe) in the \\Tools folder. Read More about iexpress. You can use Private Character Editor to create unique letters and logos for your font library. Very handy tool to make a customised logo or alphabet in a font. Lot of scope to play around with. To access this feature, click on start-run, type eudcedit and then click on ok (shortcut: Win + R and then type eudcedit). 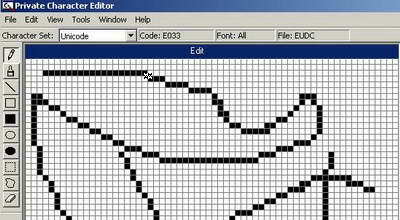 Read more about Private Character Editor here. You can of course configure that error reporting on your computer. To access Dr Watson, click on start-run, type drwtsn32 and then click on ok (shortcut: Win + R and then type drwtsn32). Read more about Dr. Watson here. The Disk Cleanup tool helps you free up space on your hard disk by searching your disk for files that you can safely delete. You can choose to delete some or all of the files. You can also access this program from window’s menu, however many of us choose to ignore it. You should run this once in a week to remove that extra crap from the hard drive. To access this feature click on start-run, type cleanmgr and click on ok (shortcut: Win + R and then type cleanmgr). Read more about Disk Cleanup here. If you are fan of that very compact looking Windows Media Player 5.1, then here is how you can use it in Windows XP. To access this click on start-run, type mplay32 and click on ok (shortcut: Win + R and then type mplay32). Above should give you something new to discover in Windows XP. If you know any other hidden program please feel free to share here.